Directed by Tim Burstall (End Play) and written by Roger Marshall (Twisted Nerve), Attack Force Z stars Academy Award© winner Mel Gibson (Braveheart, Lethal Weapon), three-time Golden Globe nominee Sam Neill (Jurassic Park, Thor: Ragnarok), John Phillip Law (Barbarella), Chris Haywood (Shine) and John Waters (Breaker Morant). Making its debut in high definition Attack Force Z boasts a brand new 4K scan and restoration from the film's inter-positive, presented for the first time ever on 1080p Blu-ray in its original 1.85:1 aspect ratio along with the original uncompressed dual channel mono audio. Additional special features in the disc include "The 2-Men Debriefed", a 25 minute featurette that includes interviews with executive producer John McCallum and actors John Waters and Chris Haywood (presented in standard definition) a photo gallery and the film's original theatrical trailer. "Previous home video versions of this film have looked sub-par. Umbrella Entertainment has done an amazing job restoring this film to its original glory. 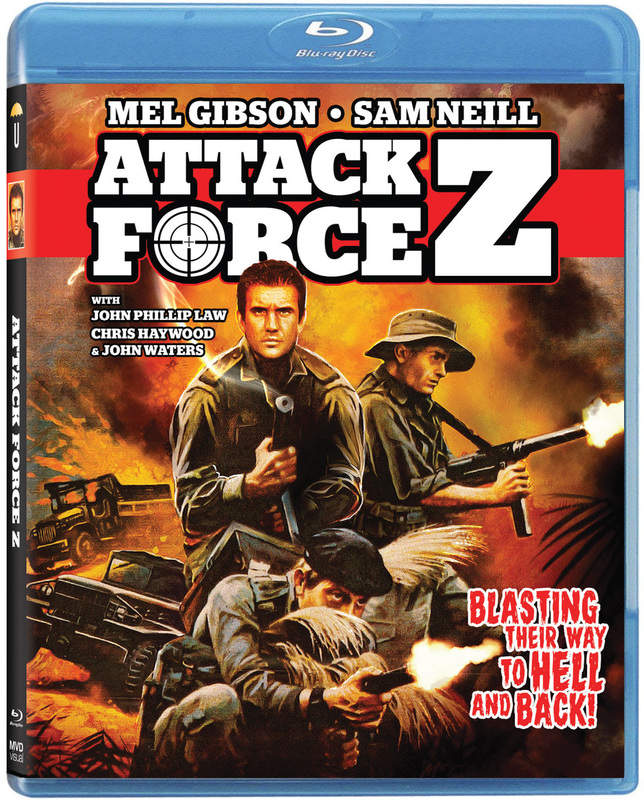 As a collector of physical media, myself, I'm happy to announce that Attack Force Z represents the first of many classic films on Blu-ray that MVD will be releasing in the near future." Attack Force Z makes is home video debut on November 7th 2017 on Blu-ray (UPC# 9344256016103) and Digital / VOD from MVD Entertainment Group in North America.